Dec. 11, 2013 - The mounting recovery in U.S. homebuilding has brightened the prospects of stud lumber producers. In the spring of 2013, WOOD MARKETS conducted a survey of stud producers supplying the North American market, the results of which form the basis of our multi-client report, North American Stud Industry & Market: Current Situation and Outlook to 2017. This article highlights some of the survey’s findings and WOOD MARKETS’ outlook on the stud industry and market. lumber customers expect. Consequently, a majority of dimension mills tend to optimally target PET production at two to five per cent. Regionally, for 2012, the two largest supplying regions were shown to be Eastern Canada and U.S. West (36 per cent each), yet their operating rates were the lowest. Both regions identified log supply and affordability as critical limitations to ramping up production. In Western Canada, stud producers accounted for about 20 per cent of surveyed supply. The U.S. Midwest/Northeast mills accounted for only eight per cent of supply, but were operating close to full capacity. Traditionally, the U.S. South has not been a major producer of studs given that SYP has a reputation for being less dimensionally stable than SPF and harder to nail. European producers of spruce and red pine are known to ship volumes of studs into the U.S. when prices are high, although they have been at much smaller volumes than in 2005 (their peak year). With the downturn in new construction since 2006 and the growing importance of home centres, there has been improving demand for premium-grade studs among retailers requiring a product with limited wane or blue-stain, and which is straight (without crook or warp). It was found that premium studs make up the largest share of studs (about one-third), followed by conventional “stud” grade material. Premium-grade stud production within Canada is most prevalent in Eastern Canada, where the mountain pine beetle is not a factor. For certain regions with exposure to heavy snow loads, earthquakes, or storm winds (hurricanes or tornadoes), local building codes specify the use of #2&btr studs. As a result, stud producers have been steadily expanding their production of #2&btr grade. The remaining lumber represented a mix of stud products, including J-grade material for export to Japan and specialty products consumed by industrial accounts. The popularity of nine-foot or higher ceilings remains strong across the U.S. in both single-family and multi-family construction. According to the NAHB, the prevalence of nine-foot or higher ceilings on the first floor has been holding steady at approximately 45 per cent of single-family and 35 per cent of multi-family homes; this compares to the results of the survey, which found that just over one-third of the studs produced are nine feet or longer. On a regional basis, the survey found that U.S. West and Eastern Canada mills had the greatest capacity to produce nine-foot and longer studs, while Western Canada and U.S. Northeast/Midwest mills were not as well set up to do so. This gap between the longer lengths demanded and what the industry is currently providing may represent an opportunity for dimension mills with PET capabilities. The width profile of the surveyed stud production reveals that 2x4s make up the majority of the studs produced; 2x6s and 2x3s form most of the remainder. Some U.S. dimension mills report producing minor volumes of 2x8 studs being specified for government projects in California in which earthquake design codes require extra strength, e.g., schools and retirement homes. Among stud producers, the U.S. is the destination for three quarters of the surveyed production, followed by Canada and offshore markets (namely, Japan). U.S. stud producers were almost 100 per cent focused on supplying their domestic market, although some producers located in the U.S. West indicated minor export volumes to Japan and other Asian countries. Among Eastern Canada producers, none shipped anything outside North America, and the split between their U.S. and Canadian shipments was about 50/50. Conversely, Western Canada producers collectively exported a comfortable majority of their production to the U.S. and overseas. Some producers in Eastern Canada expressed concern about railcar availability as the U.S. economy improves given that higher-valued manufactured goods receive preference over lumber. This may force eastern firms to rely on trucking to move a greater portion of their production, shortening their economic reach into the U.S.
As U.S. homebuilding activity continues to ramp up, some North American stud producers have committed to restarting idled plants; others are adding additional shifts. However, access to additional volumes of affordable timber poses serious limitations for stud producers in many regions of Canada and the U.S. How producers will be able to meet the demand of the North American stud market over the next five years is a major question addressed by the North American stud supply and demand outlook. Stud mill operating rates in the four major North American stud-producing regions assessed in the report will start to approach 100 per cent after 2015. This will cause dramatic price increases, as well as considerable variability. Peter Butzelaar is the vice president and Alice Palmer is a consultant for Wood Markets. They are the authors of a survey and five-year outlook that addresses these and many other questions, North American Stud Industry & Market: Current Situation and Outlook to 2017. For ordering details, please visit www.woodmarkets.com. 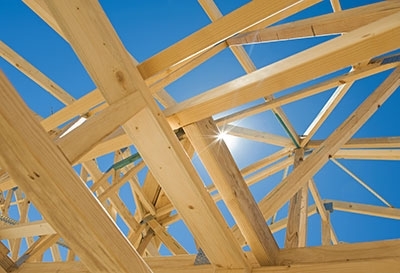 As U.S. homebuilding activity continues to ramp up The mounting recovery in U.S. homebuilding has brightened the prospects of stud lumber producers.